While road trips are fun especially if you're with great family and friends, the driving can get a bit tiring. If I'm on a road trip, I'm always on the lookout for interesting places to make quick stops at to break up the driving and to stretch out my legs. I imagine if you have kids, this is even more important so that they can get out of the car and run around for a little bit! If you find yourself driving on Highway 1 (AKA the Trans-Canada Highway) between Alberta and BC, there are a couple of interesting stops along the way. The Canadian Pacific Railway was built between 1881 and 1885, and it connected the east coast of Canada to the west coast. The Last Spike was the last railway spike that was driven into the ground and signified the completion of close to 3000 miles of railway. 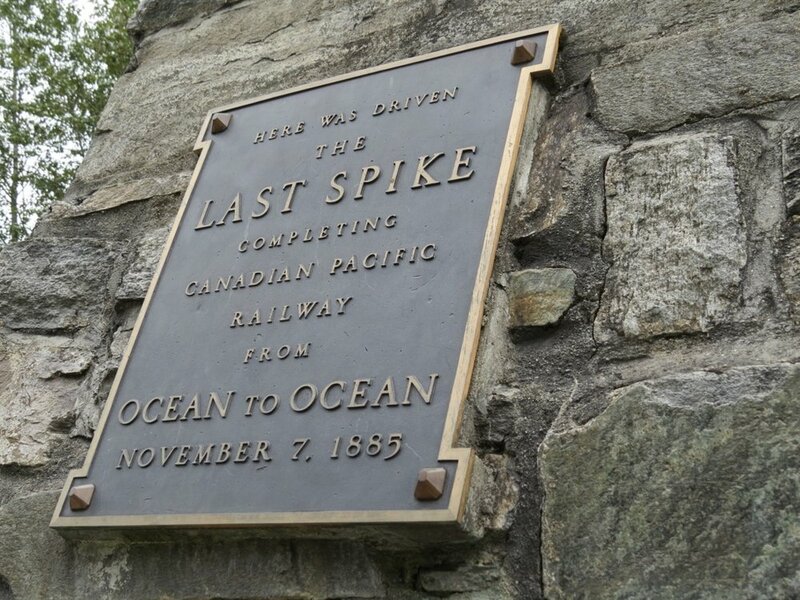 At this stop along Highway 1, you can see the Last Spike and visit a small gift shop, so it will be a quick stop, but it is educational none the less to see this important part of Canadian history! I visited The Enchanted Forest with a couple of friends on the way home on a road trip. My friends had visited it as children and they wanted to see what it looked like today so we made the stop. I honestly wasn't expecting much but I ended up really loving the place. The Enchanted Forest began when Doris Needham started making fairytale figurines in the 1950s by hand. Eventually her and her husband wanted to find a place for these figurines, and bought the piece of land the Enchanted Forest is situated in today. They started building the small fairytale houses you can now find in this forest, to give the figurines a home. I loved all the details of the houses (you can enter them), and loved that this fairytale world has a beautiful forest as a backdrop. It's another example of bringing a hobby to life! I can see this place being loved by children who visit, and as an adult I enjoyed it a lot too! 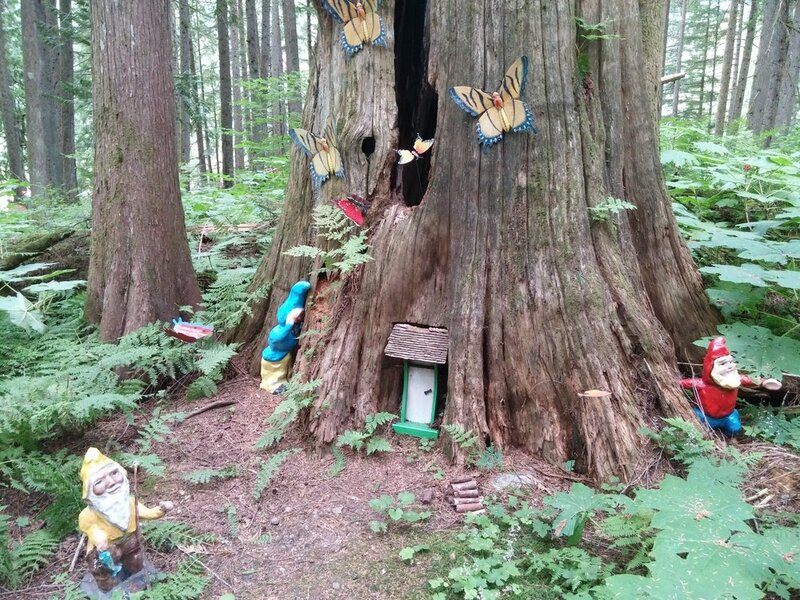 The Enchanted Forest located at 7060 Trans-Canada Highway, Revelstoke BC, V0E 2S0. There is also a Skytrek Adventure Park located right next door. This stop is little ways off Highway 1, on Highway 97A, but if you're driving from Kelowna towards Alberta, you may find yourself on this highway. You won't be able to miss the Log Barn. You'll definitely see the strange and slightly over the top plastic decorations of dinosaurs, dragons, and deer from the highway. The Log Barn 1912 is a store selling a number of trinkets and snacks, but I'm not suggesting that it's a fabulous place for shopping (if you read reviews it seems things can be a bit overpriced). What makes this place a good stop is the live goats that they raise there, and the strange decor. It makes for a good laugh and maybe a couple of interesting selfies too! What's the most interesting place that you've stopped at along the highway on a road trip? Let me know in the comments!